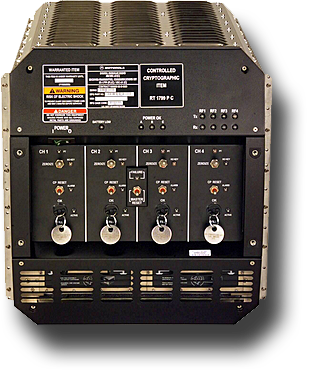 General Dynamics Mission Systems Inc. is being awarded a $198,082,976 indefinite-delivery/indefinite-quantity contract for the continued procurement, manufacturing, testing and delivery of AN/USC-61(C) digital modular radio (DMR) systems, high frequency distribution amplifier group components, spares for both systems, and engineering services to support their continued fielding and maintenance plans. General Dynamics Mission Systems' DMR. DMR is a modular, software reprogrammable radio system with embedded cryptography that provides all radio frequency (RF) to-baseboard and baseband-to-RF conversion functions required for line-of-sight (LOS), Beyond LOS (BLOS) and satellite communications systems operating between 2.0 megahertz to 2.0 gigahertz. This contract has a five-year ordering period up to the contract award amount. There is one option which, if exercised, would bring the cumulative value of the contract to an estimated $208,938,908. Work will be performed in Scottsdale, Arizona, and is expected to be completed by December 2022. No funds will be obligated at the time of award. Contract actions will be issued and funds obligated as individual delivery orders. Fiscal 2017 shipbuilding and conversion (Navy) funds will be placed on the contract with an initial delivery order issued shortly after award of the base contract. Contract funds will not expire at the end of the current fiscal year. This contract is a sole-source acquisition, therefore, it was not competitively procured pursuant to the authority of 10 U.S. Code 2304(c)(1) - only one responsible source (Federal Acquisition Regulation Subpart 6.302-1). The Space and Naval Warfare Systems Command, San Diego, California, is the contracting activity (N00039-18-D-0002).